Well, have you ever checked out the website https://www.education.com? Start clicking on these fabulous worksheets! 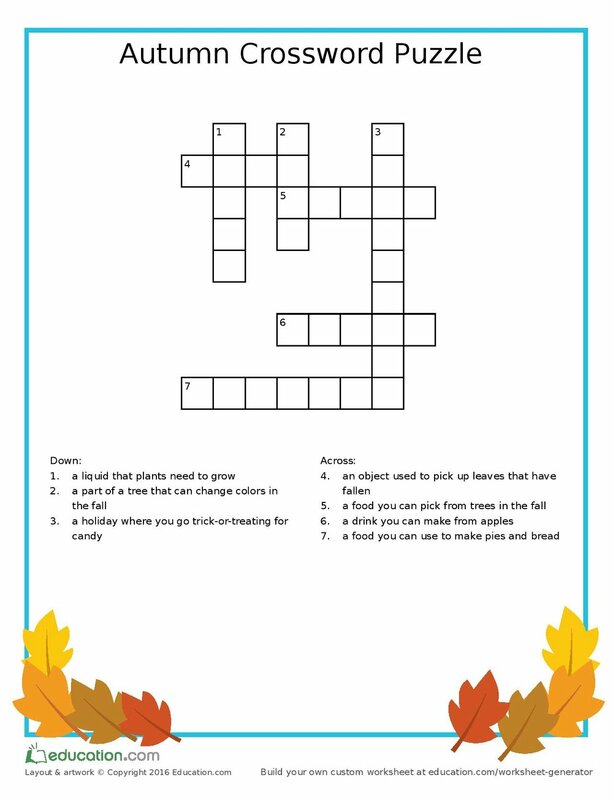 Your child will "fall" in love with autumn words with this fun crossword puzzle! Check out more reading activities at Education.com! Their Pre-K - 5th Grade resources support children in all the different ways they learn, so parents and teachers alike always have what they need to boost each kid’s unique potential. Jump in and explore more than 30,000 games, lessons and activities. Easy as pie. There are printable worksheets and even online games that will hold the kids attention. Best part about it is, it will only run you around $5.00 dollars a month. That is cheaper than my Dunkin Donuts bill every month! Here is another great worksheet! Worksheets are a great way to give your child extra skills because there is a whole lot of knowledge to be had. So take that leap and sign up! Remember that college is gonna come in the blink of an eye! !